I was really excited to attend my first art opening – as an actual artist! 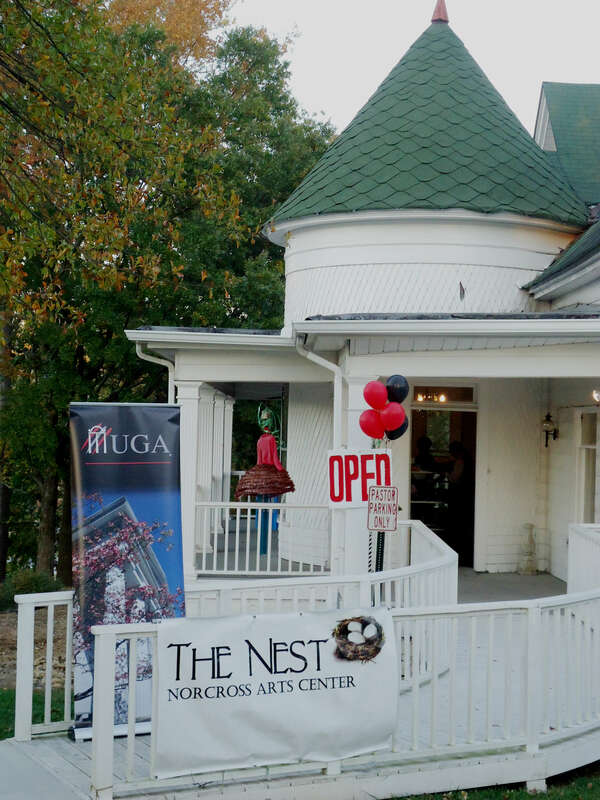 The UGA Alumni Association is currently featuring artwork of UGA alums at The Nest in Norcross, Georgia, the home of the Norcross Arts Alliance. I happen to be on the mailing list of the Association and found the open invitation in my inbox. I thought “Hey, I might as well apply. The only thing they can say is no.” And lo and behold, a few weeks later I received a call from the gallery director, Lori Sturgess, asking me when I could deliver my artwork. Needless to say, I was extremely excited! Finally, the night of the opening reception arrived on Nov. 2nd and I was joined by my husband and my mom who drove up from Macon. 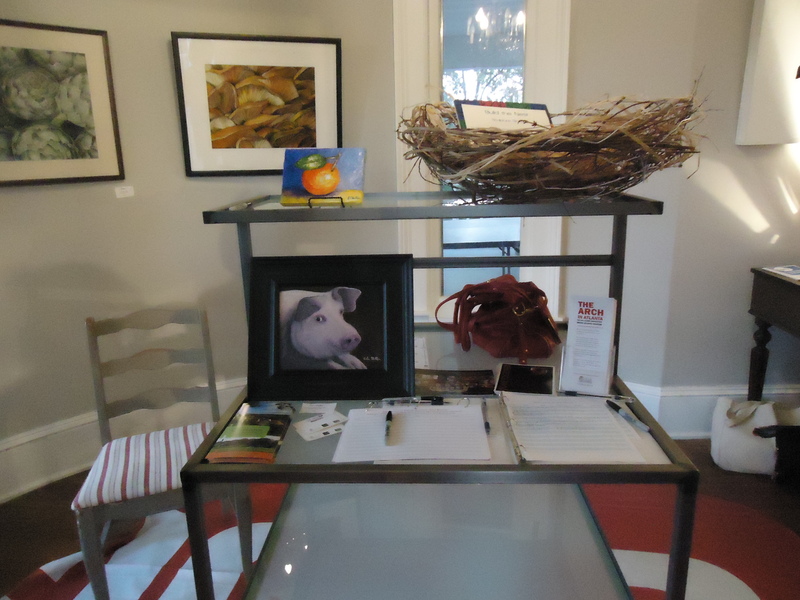 As we walked in, I was thrilled to see two of my pieces front and center on the sign-in table! I was proud that my sweet pig painting “Fat & Happy” and my palette knife painting “Sunkissed Orange” were greeting fellow Bulldogs as they arrived. We sipped wine, spoke with a few of the other talented artists and admired their work. Overall, it was a memorable experience – and now I’ve got the itch to enter more shows!